April 2, 2019 - Midwest riders are among the list of competitors heading to the Burlington Capital International Omaha, April 4-7, 2019, at the CHI Health Center in Omaha, Nebraska for the $100,000 Init2winit Speed Finals and the $100,000 Omaha Grand Prix. The event is not your ordinary horse show, with everything under one roof from stabling, warm-up, and the competition arena to educational and exhibit areas, demonstrations, dining venues and shopping, it is a family friendly event for all with exciting competition guaranteed to get you applauding for more. Here’s a sample of some of the riders that are Init2winit! Holloway will be defending her title as the 2018 $130,000 Omaha Grand Prix Winner and second place finisher aboard Eastern Jam and VDL Bravo S respectively. Holloway will also bring Lucky Strike and Silver Creek’s Validation to compete in the Init2winit Speed Finals. Holloway and her Eastern Jam are a match like no other with an impressive victory at Spruce Meadows in 2018 added to their admirable resume. Holloway spent the winter training with the former U.S. Chef d’Equippe, George H. Morris, who will conduct a showcase on Friday. Burnett finished in second in the 2018 Init2winit Speed Finals with his long time partner, Iron. Burnett will bring new mounts Burlington and Chagrand in addition to Iron for the competition. 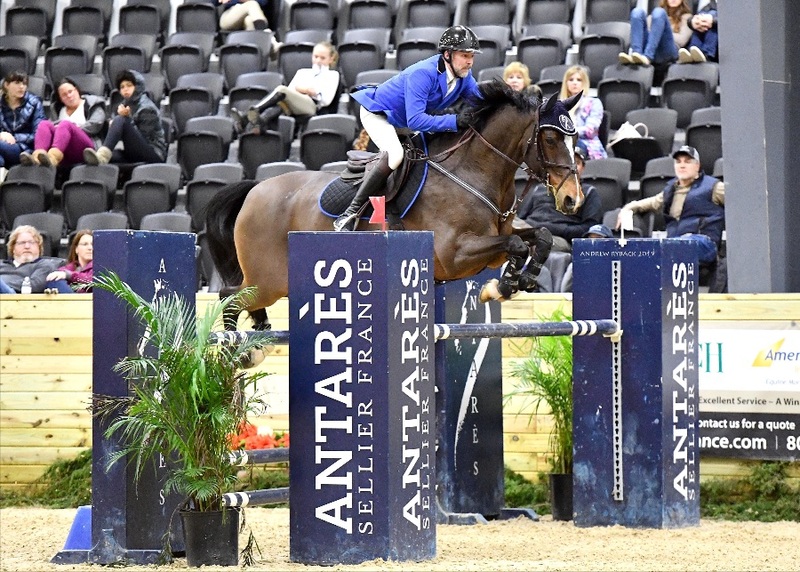 Burnett comes off of a fantastic winter season with two back to back wins in the $7,500 Futures Prix at the World Equestrian Center and a 1.30m win out of 90 at the Winter Equestrian Festival on Iron, who will compete in the 1.30m Classic in Omaha. Burnett will use his Wild Card for one of the new horses to get into the InIt2WinIt Finals. Goldman-Smolen finished in 3rd with Hindsight and a top 6 finish with Barbara Disko's Sovereign in the 2018 Init2winit Speed Final. 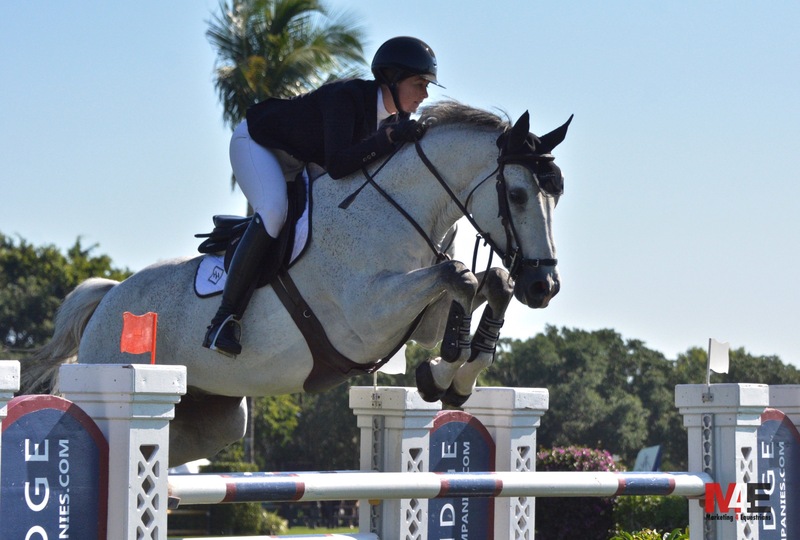 Goldman-Smolen is one of Chicago’s fastest jump off riders coming off of a fantastic winter season earning numerous grand prix victories at the World Equestrian Center and HITS Ocala. She is a serious competitor and definitely on the radar for a top finish in Omaha. Goldman-Smolen’s Red Coat Farm/Gold Run Show Jumpers will bring several junior and amateur riders to compete as well including Kyle Perkovich, Stefanie Shaw, Addie Rohrbach and Maddie Cardelli, who all just finished up the winter in Ocala. Doug Boyd and Berkley III finished 6thin the 2018 Init2winit Finals and took home 10th in the grand prix. Coming off a hot winter circuit, the pair won the $5,000 Welcome Stake at the World Equestrian Center then rode to a second place victory in the $25,000 WEC Grand Prix. This seasoned duo will be very competitive in both the speed class and the prix. Liz Atkins and her little miracle horse Rodeo VDL are a Wild Card addition for the Init2winit Speed Finals. This pair overcame serious health issues with Rodeo to rise to the occasion and win the Equifest Grand Prix and take a road trip to the prestigious Spruce Meadows, putting in double clear rounds and collecting ribbons. This pair has speed but most of all, huge heart. 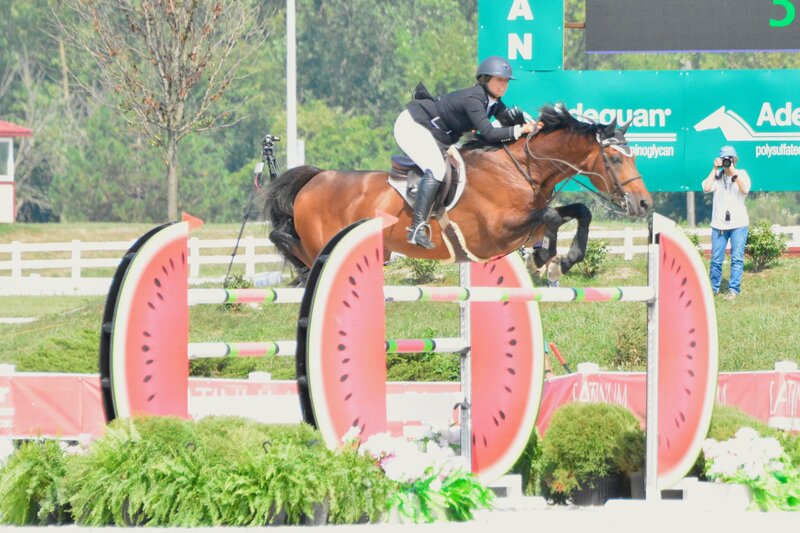 Leahy is a young junior rider with two new mounts, Happiness and Dymendy, headed for big accomplishments. 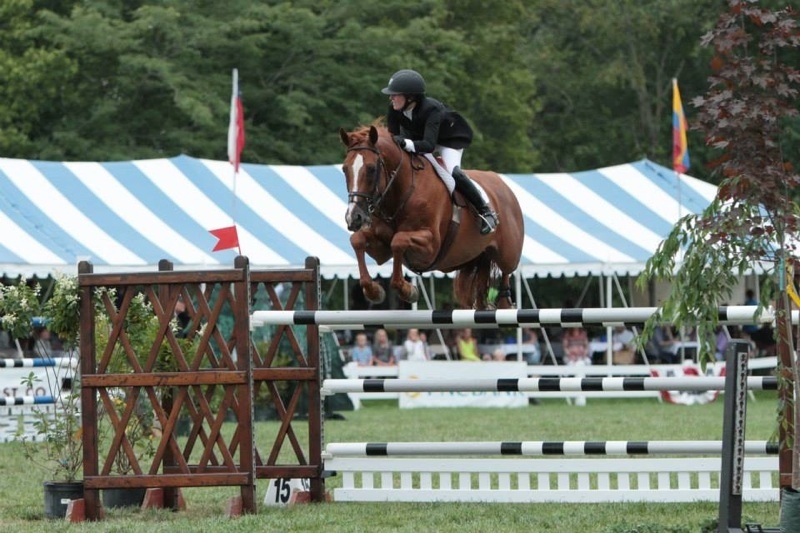 Leahy won a series award at the Winter Equestrian Festival (WEF) for being the Leading Rider in the Developing Young Jumpers – 7-year-olds with Happiness. 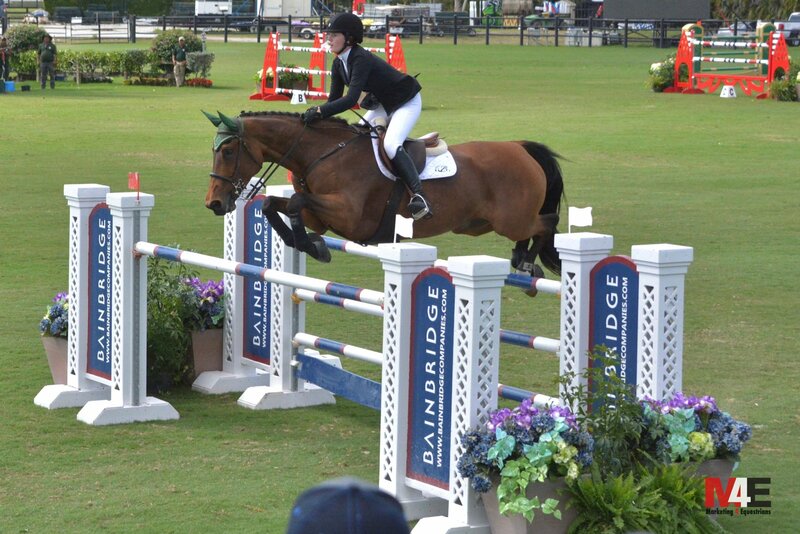 She also placed second in the $25,000 CP Grand Prix in the derby field at WEF on Dymendy. 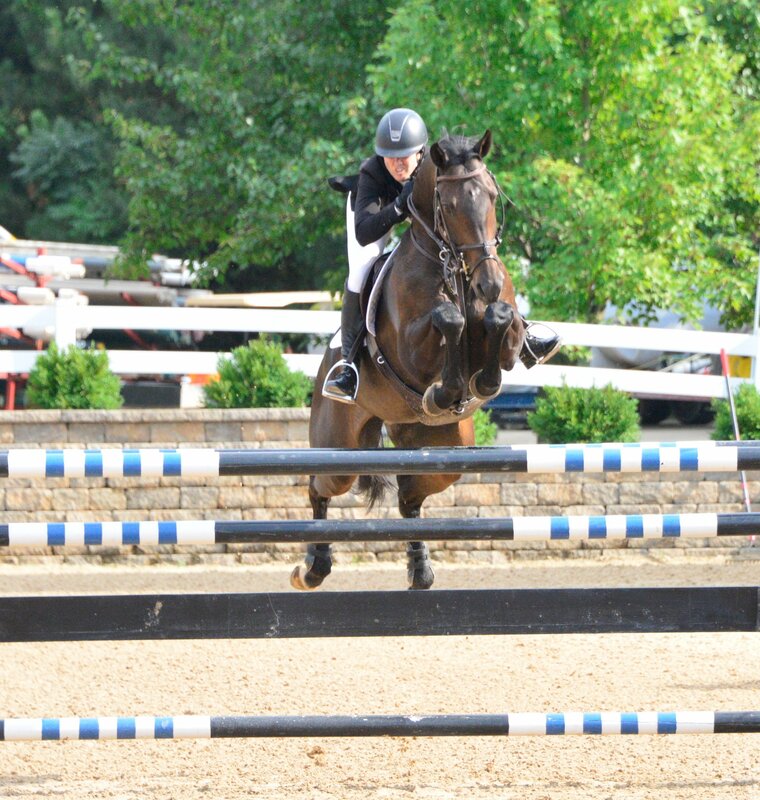 Leahy is a very competitive rider and learned how to be fast in the jump off from trainer Steve Schaefer. Watch for Leahy in the top ribbons now that she’s warmed up and ready to go! Schaefer is also known to be one of Chicago’s fastest jump off riders and is always game to put the pedal to the metal. 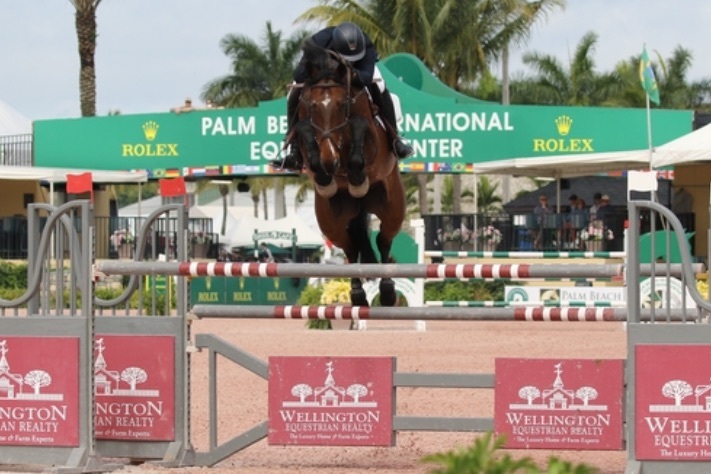 Schaefer will bring his 11-year-old, Zarkava, off of a winter season at WEF in the 1.40m Jumpers. Schaefer has plenty of grand prix victories under his belt with numerous mounts and brings serious experience to the ring as well as speed. Hope Rose boasts a stellar junior and amateur career with trainer Diane Carney. Hope Rose brings the famous Total Touch with a lengthy list of wins in the grand prix ring to jump in the 1.20m jumpers. 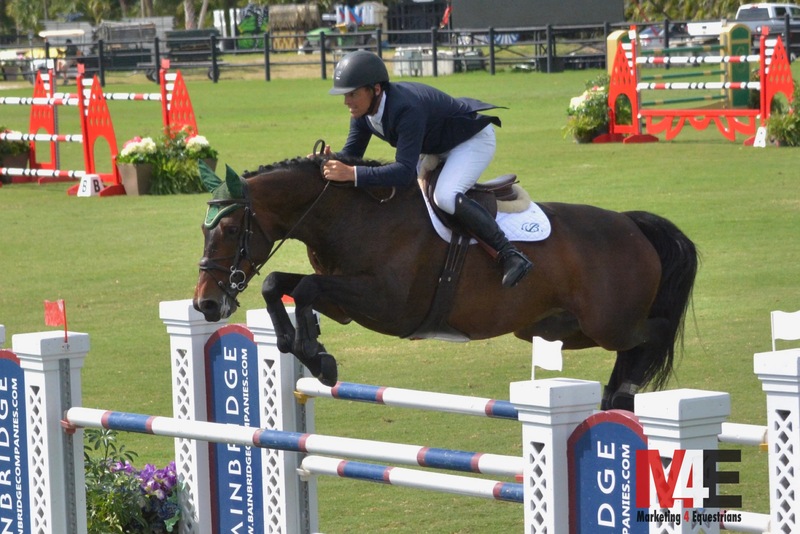 Vision EH, another longtime mount of Hope Rose’s, will compete in the 1.30m jumpers while her new mount, Johnny Bravo, will start in the 1.10m division after earning 2ndand 3rdplace finishes in Gulfport their first time out. Stay tuned to Marketing4Equestrians as we cover the action in Omaha. Check out our Facebook page or Instagram for the latest news and interviews. For a schedule of events or ticket information, visit www.internationalomaha.com.